As California Governor Gavin Newsom took the oath of office on Monday in Sacramento, his words were momentarily drowned out by shouts of protest and cheers of "Gavin, Gavin, Gavin." As the partial government shutdown continued into its third week, the new governor issued a strong rebuke to the Trump administration, promising that the Golden State would continue to lead on issues where the federal government is falling behind, including climate action, health care, and gun laws. 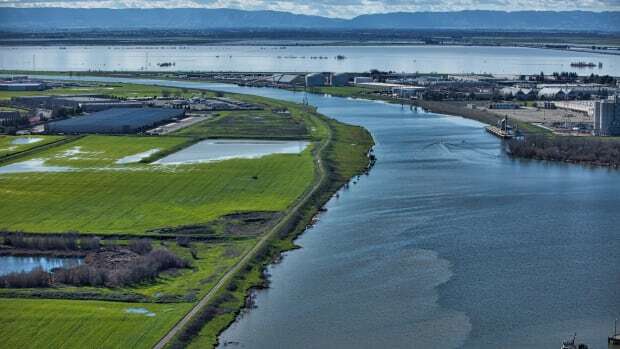 "There&apos;s an administration in Washington that is clearly hostile to California values and California&apos;s interests," Newsom said, comparing the federal administration to corporate polluters, the pharmaceutical industry, and "a gun lobby willing to sacrifice the lives of our children to pad their pockets." Newsom&apos;s campaign last year was full of ambitious pledges to overhaul the state&apos;s housing, health care, and early education, and he struck a similar tone in his inaugural speech. 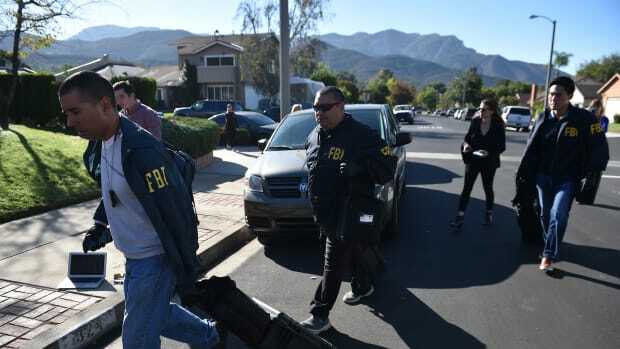 "The basics are increasingly out of reach," Newsom said, before promising his administration would be "prudent stewards of taxpayer dollars" and pay down debts, while at the same time pledging to be "bold" and "aim high" on these issues. Ahead of his inauguration, Newsom&apos;s team released a proposal to spend some $1.8 billion on programs for early education and childcare, and hinted at a proposal to expand paid family leave from six weeks to six months—which would give California the most generous family leave program in the nation. 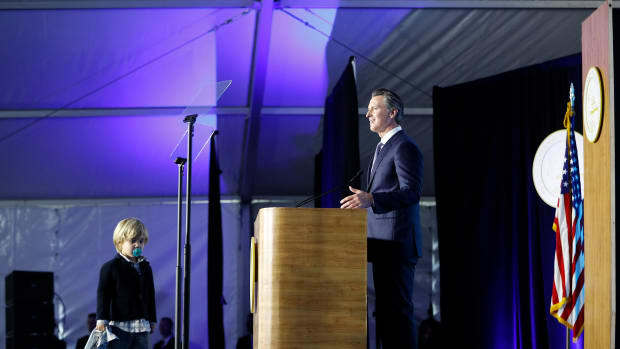 "All children, not just the children of a governor and a filmmaker, should have a good life in California," Newsom said, while holding his youngest son Dutch, who wandered onto the stage during his speech and hid under the lectern until his father picked him up. 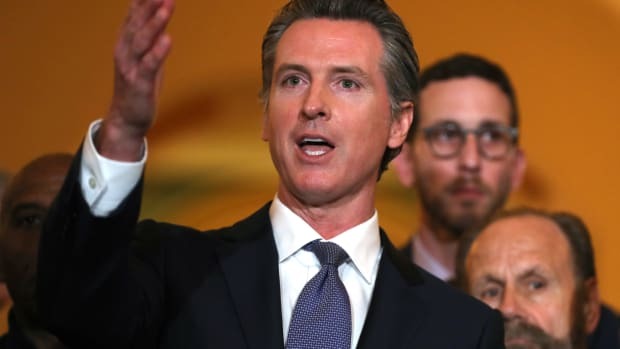 "Every person should have access to quality affordable health care," Newsom said. 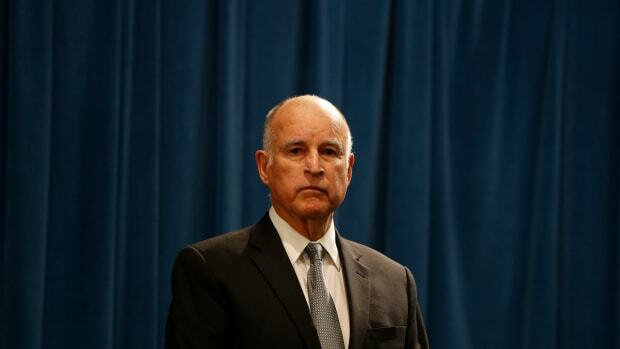 "We will never waver in our pursuit of guaranteed health care for all Californians. We will use our market power and moral power to demand fair prices for prescription drugs. We will stop stigmatizing mental health and start supporting it. And we will always protect a woman&apos;s right to choose." Newsom, who coasted into the governor&apos;s office on a landslide electoral win, is entering office with a budget surplus and a healthy economy, but delivering on his campaign promises will not be guaranteed. The speech was—unsurprisingly—light on specifics, such as exactly how to pay for the costly early education and parental leave programs. But at least some of the details should become more apparent later this week, when the new governor sends his first budget plan to the state legislature.